Jakarta Council hopes all markets in Jakarta can be functioned as tourism destination for local and foreign tourists.
" We hope PD. Pasar Jaya is able to manage existed markets to be domestic and international tourist destinations"
It has potential to be realized since PD. Pasar Jaya has changed its status into Perumda (Regional Public Company). 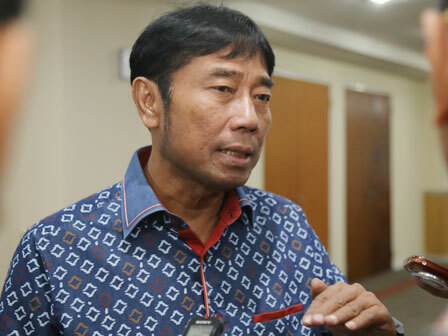 Jakarta Council Deputy Head, Abraham Lunggana said PD. Pasar Jaya can transform into a bigger regional company since it has changed its legal status. "We hope PD. Pasar Jaya is able to manage existed markets to be domestic and international tourist destinations," he expressed, Friday (4/13). Legal status of PD. Pasar Jaya is changed after Regulation Draft (Raperda) about Perumda Pasar Jaya has been ratified into Perda (Regulation) in plenary meeting. Perda about Perumda Pasar Jaya is issued to replace Perda No. 2/2009 about PD. Pasar Jaya. "That old regulation is not ideal anymore because market development and Jakartans shopping patterns becomes more modern day by day. Thus we issue the new regulation," he explained.